Walcott’s participation in the Brooklyn conference represents a big moment for writers of color– not only because of Walcott’s place in contemporary history as one of the great giants of poetry, but also, as a man of Caribbean descent, his poetry is informed by an experience to which a huge population of Brooklyn’s population can relate. “No poet rivals Mr. Walcott in humor, emotional depth, lavish inventiveness in language… His poetry makes us realize that history, all of it, belongs to us,” wrote The New York Times Book Review. 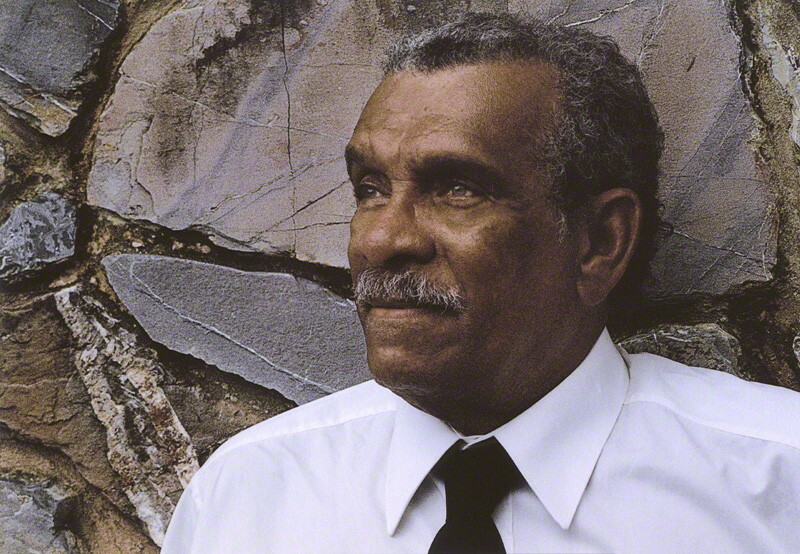 Born in St. Lucia, Walcott is the author of more than 20 books, including the recently published “The Poetry of Derek Walcott, 1948-2013” (2013); “Omeros,” a collection of poems (1998); and the play “Dream on Monkey Mountain and Other Plays” (1971). In 1992, he won the Nobel Prize in literature. And he is the recipient of many awards, including the MacArthur Foundation award, the Queen’s Medal for Poetry in 1988, the T.S. Eliot Prize in 2011, and Montale Prize in 2012. The Center for Black Literature has invited Walcott to Brooklyn where he will lead a special literary event that explores themes of identity, memory, belonging and spirituality throughout Walcott’s work and in Caribbean literature in general. Walcott will be joined by the Trinidad-born poet Mervyn Taylor and St. Lucian poet and producer Adrian Augier to raise questions related to how Walcott’s poems and plays explored complex aspects of “the divided self,” resulting from colonialism’s impact on Afro-Caribbean heritage. Brenda Greene, executive director of the Center for Black Literature, said Walcott’s participation in the writer’s conference represents a remarkable opportunity for a new generation of students and writers to hear a Nobel Laureate talk about literature. “A goal of this special literary program is to expose intergenerational audiences who are lovers of literature and the arts to the work of an extraordinary writer whose writing has impacted world literature,” said Greene. The conversation will take place at 6:30pm, on the Campus of Medgar Evers College, located at 1650 Bedford Avenue in Brooklyn, and will be followed by a question-and-answer period with the attendees. There is a $10 donation.